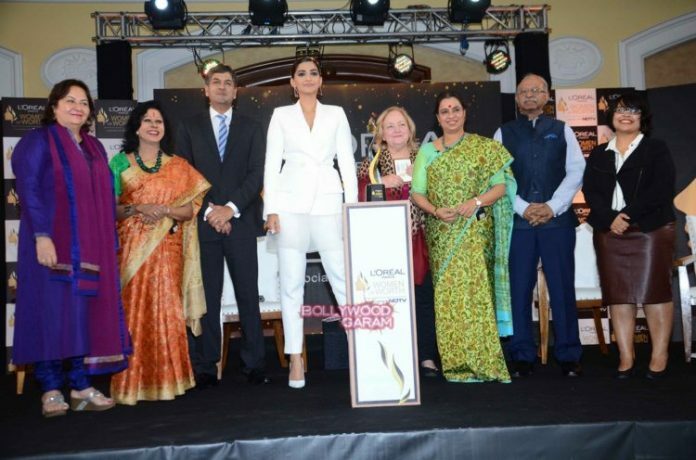 Bollywood diva Sonam Kapoor, known for being the most stylish, appeared at the Loreal event held in Mumbai on February 8, 2016. 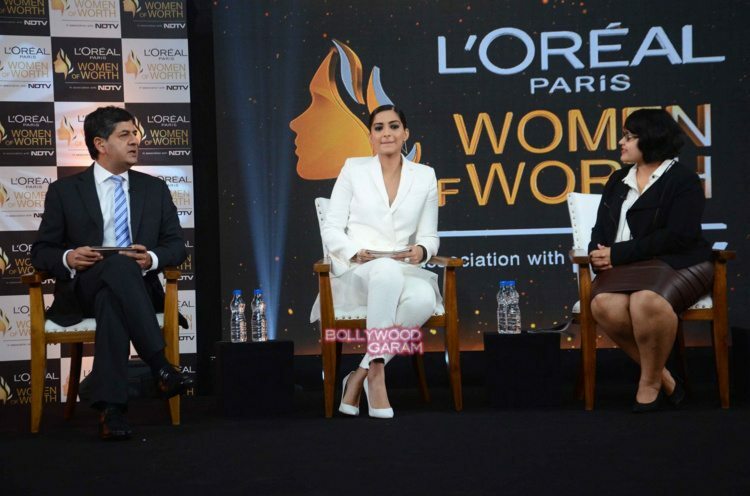 The actress looked fabulous in a white Antonio Berardi suit for the event and completed her look with a bun. On the work front the actress is all set to be seen in the upcoming movie ‘Neerja’ which is all set to hit the theatres on February 19, 2016.